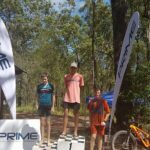 The 18th of February 2018 saw round one of the 2018 Prime Constructions FNQ XC series. 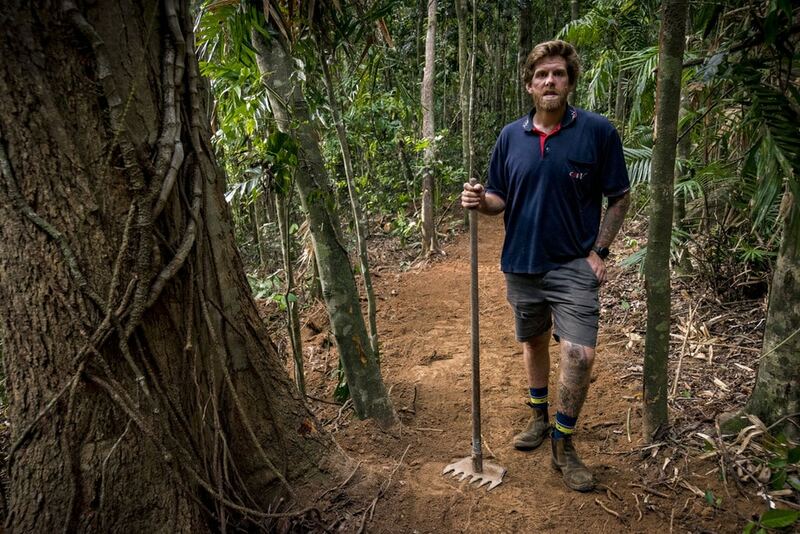 Despite precise planning and diligent trail prep on the part of the Tablelands Crew all was not going to go to plan this weekend. Murphy’s law struck hard. 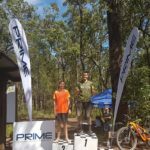 From a change in course, change in start, big overnight rains and a computer nerds worst nightmare – a 3-day computer glitch that rivaled the angst of finding no toilet paper the night after you won the local curry eating competition. But, in true trooper style, Atherton muscled it through and the race began. 111 riders rolled up to the traditional wave starts with the elites out front. The regulars are back with Dom Hoyle (Bicycle Centre-Giant) on the line with Linc Carolan and Sarah Kaehler (Bicycle Central on Mulgrave-BMC/Merida) and Anita Narula (Bicycle Centre – Giant), Brendon Skerke, Bernard Cossar-Smith and Bart Duraj (Astute/Discovery Cycles –Trek) all showed up as well. 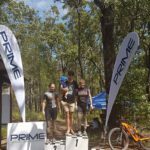 Some soon to be known names also turning out for the series Paul Brown, Vince Marcel (Bicycle Centre –Giant), Peter Craig (PumpnPedals-Specialised) and the two visiting rockets Nathan and Jade Clohesy. The greatest part of the day was seeing all the new riders, both men and women, who turned out for the event, despite the weather. 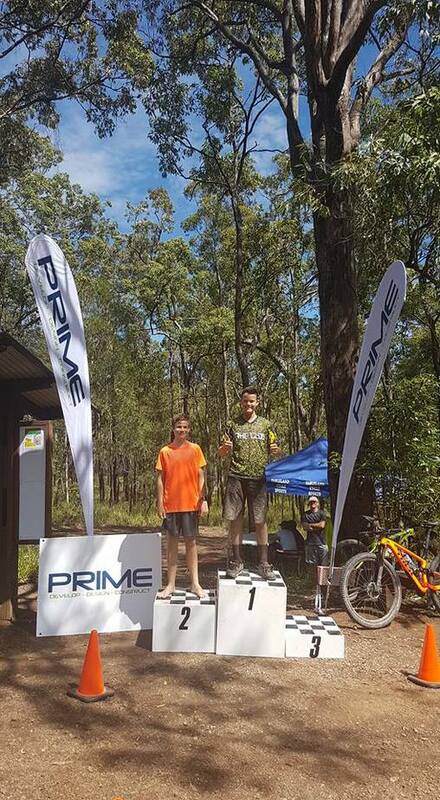 With a mudfest in front of them they lined up in their categories, well some got it right. With nervous anticipation, like when you hope the police officer who just pulled you over for a license check doesn’t notice the kilogram of cocaine on the back seat, they lined up and responded in a burst of energy and excitement at the “go”. The race starts with the Elites smashing the first lap out, Dom Hoyle (Bicycle Centre-Giant) knocking out the fastest lap and the race developing, as did the Elite female category, into a procession from 2017, Dom never taking his foot off the gas and taking the win from Nathan Sandford and Nathan Clohesy, two Nathans just not good enough to take the Dom. In the Elite female Anita Narula (Bicycle Centre – Giant) took the lead from Sarah Kaehler (Bicycle Central on Mulgrave-BMC) and the two girls remained in those positions for the race. 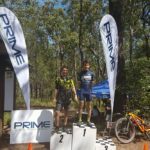 The Murphys Law award for the weekend goes to Lincoln Carolan (Bicycle Central on Mulgrave-Merida) who was involved in racing incident with another younger rider, entering the first corner with both colliding and taking each other out of the race, Linc with broken handlebars and large gash in his left thigh and the other rider with drivetrain damage. Expert men was taken out by Brendan Granata and in her first appearance, Carmel Brignolo in the women. 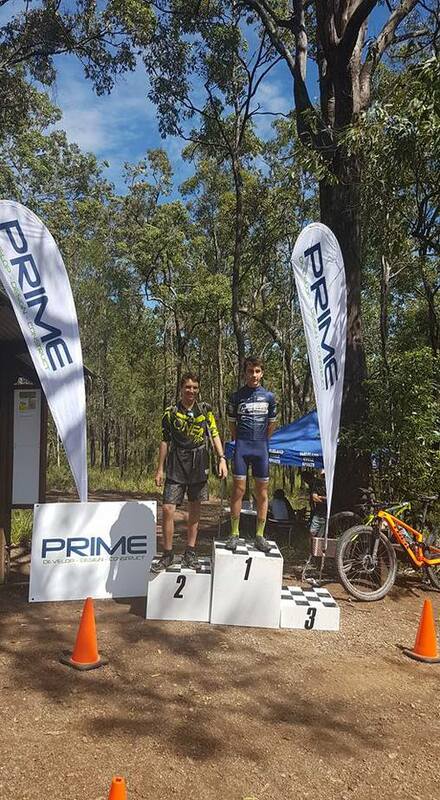 Vet mens won by Vince Marcel (Bicycle Centre- Giant) fresh from his National Series rounds set some cracking times to beat Adrian Tarca and Nigel Stacey. Vet females saw Clare Lonergan take the win from Georgia Fowler and Trace Lee MARCEL (also in her first race). The masters saw the Astute Financial Team (Discovery Cycles-Trek) take both the Men and Womens categories with Bernard Cossar-Smith finishing in front of Paul Brown. Fiona McCloskey taking the win from Jodie Brown and Sharon Hoey. Supermasters saw Peter Craig pick up from where he left off in 2017 taking the first round of the series ahead of Richard Knowles and David Darley. 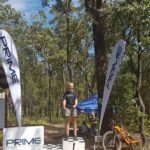 Jean McDonald from Port Douglas took the Womens win. 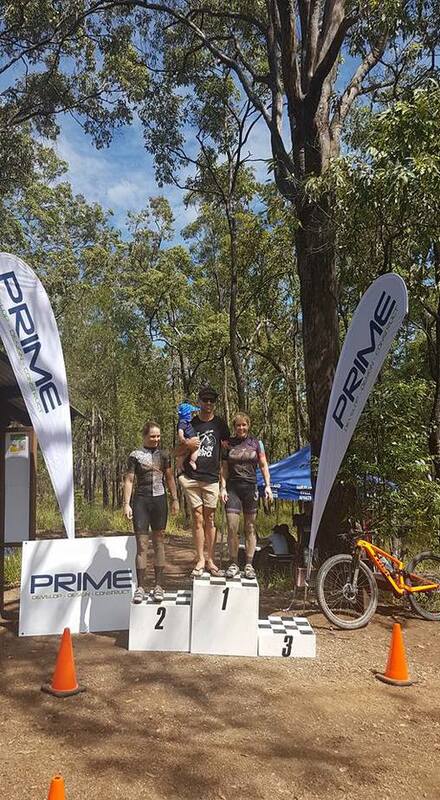 Grandmasters, the elder statesmen and stateswomen of the pack saw Stephen (KILLA) Kilpatrick take the mens win from John Koerner and Doone Bertrand, in her first race, take the win in the Womens. Sport saw some more new names and some old shredders returning, some with Canada legs, with Nathan Granata winning over Pascal Levielle and Leslie Lanza in third. The females was won by Kelly D’andrea, with Julie Scharf and Karen Fluker in third (another newbie). 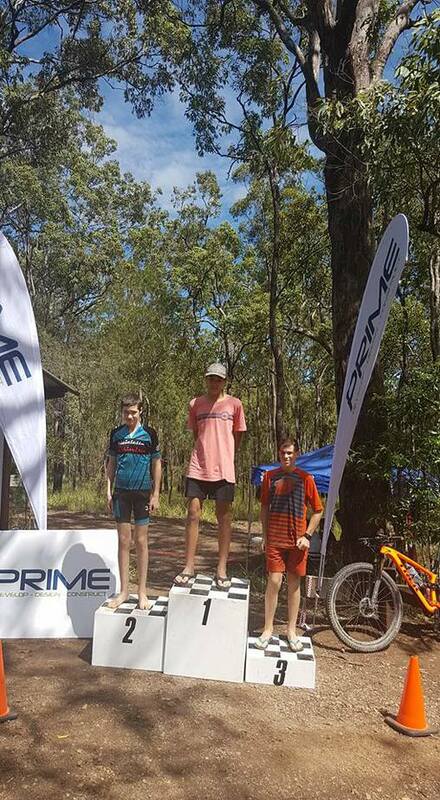 The Junior Categories saw Tiago Torres win the U19 over Bradley Mather, Toby Greenwood take the U17 over liam Davies, Iona Anderson take the female U17, Kaito Levielle, beating out Harry Sandilant and Blake Johnstone to take U15 and Jade Clohesy taking the U15 female win. Thanks to all the volunteers who helped out, without them, this would not have happened or been as successful. Of note Peter Marnock and his wife Gillian. Robbie Stevenson and Brett Piccone. Leasie Felderhoff, and your off-sider in the timing tent, whom I don’t know. Along with many others in the background that I was not aware of (I don’t know you but thank you). You guys rocked. 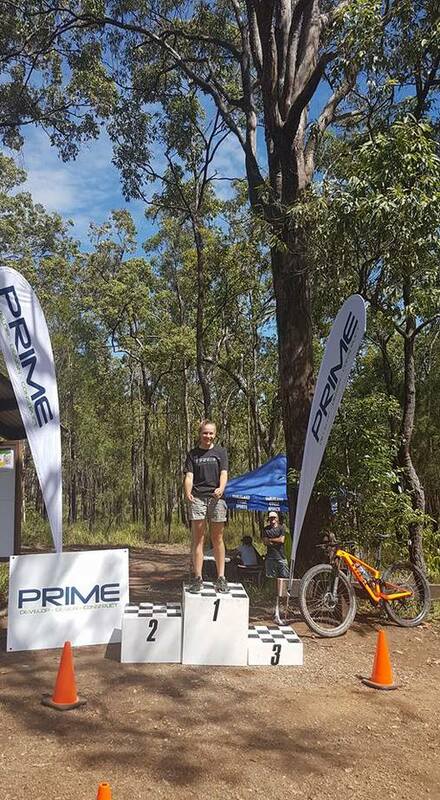 BIG THANKS to Prime Constructions for their continued support. For the riders, thank you for your attendance and your sportsmanship and support. 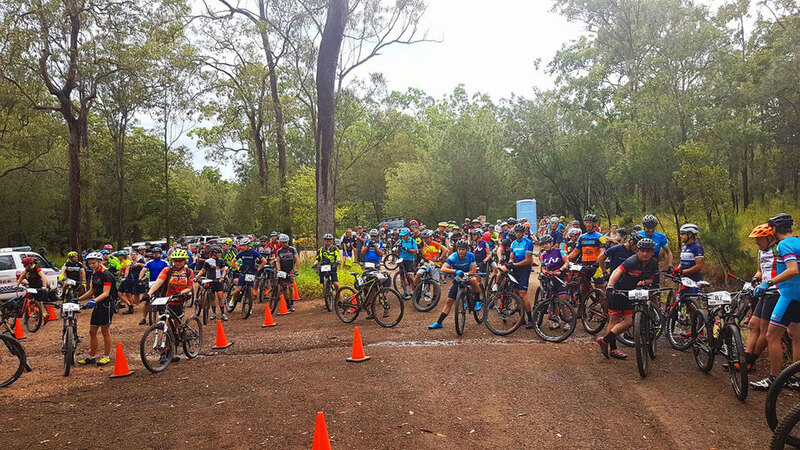 Now go get the mud out of those bottom brackets and get ready for round 2 in Cardwell 18th of March, accommodation is filling up quick.